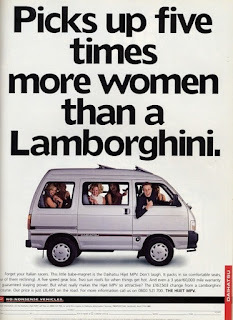 Sure Lamborghini markets quarter-of-a-million dollar sports cars with supermodels, but you can only fit two girls sitting on each other in the entire supercar with you in the drivers seat. What do you do with the other supermodels? You can't put them in your friends car, they wont show up to your house for the "after-party." 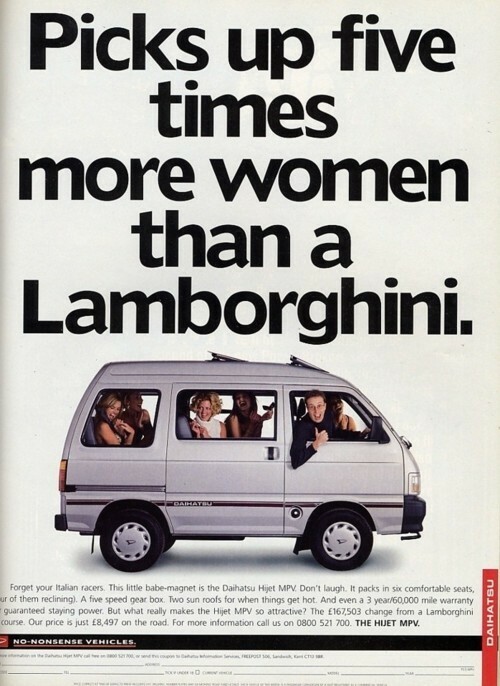 Whereas Gaihatsu has marketing down, saying that you can pick up and fit 5 times more women than a Lambo. Plus two sunroofs.......Vans are in again!